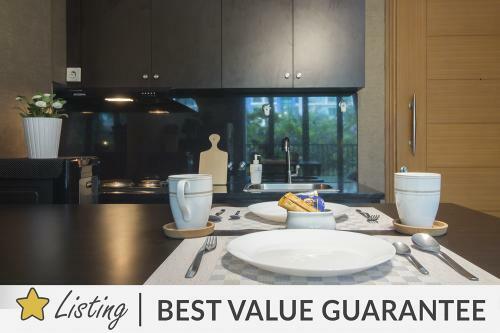 Condition: Fully furnished with bed, cabinets, AC, dining tables, kitchen equipments and washing machine. Condition: Fully furnished with good condition. In front of HERO grocery store. In front of Starbucks & Krispy Kreme . 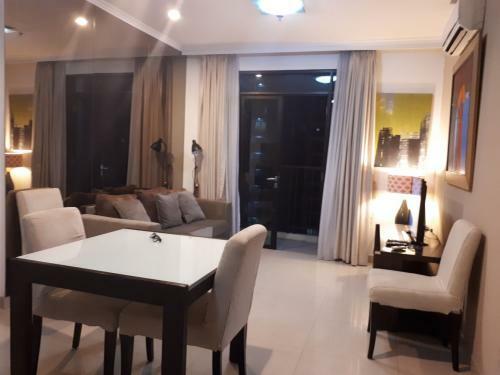 Condition: Modern Contemporary Furnishing (Fully Furnished), Water heater, air conditioner each room, fully equipped kitchen; microwave, kitchenware, sofa, refrigerator; LCD TV, washing machine, water heater, Internet & Cable TV. 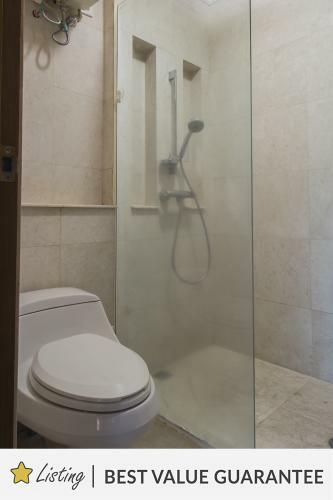 Good Ambience, Minimalist Design. 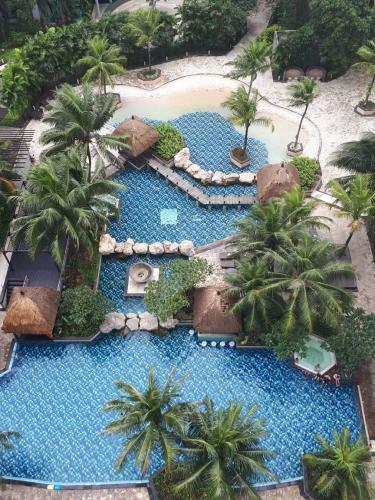 Facility: 24-hour Security, Resort Type Swimming Pools, Jogging Track, Gym, Tennis Court, Basketball Court, Children’s Playground Area, Function Room, Billiards (Pool table), Blue Bird Taxi Pool, Car Parking with 1 card access, Mailbox. Additional Info: Comfortable access to Fatmawati Street, Pondok Indah area. Across Le Kristal Hotel & Hero Supermarket. 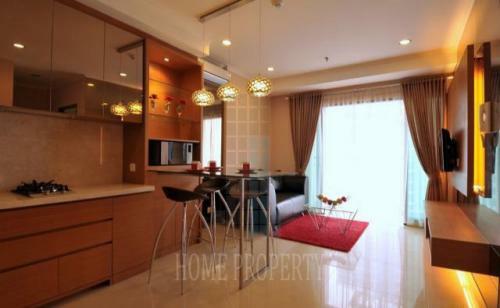 Walking distance to Jakarta Intercultural School (JIS), shops and restaurants. 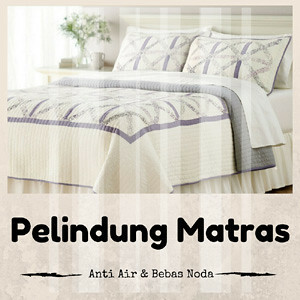 Close to Malls and Hospitals (Pondok Indah Malls, Cilandak Town Square, Pondok Indah Hospital, Fatmawati Hospital). 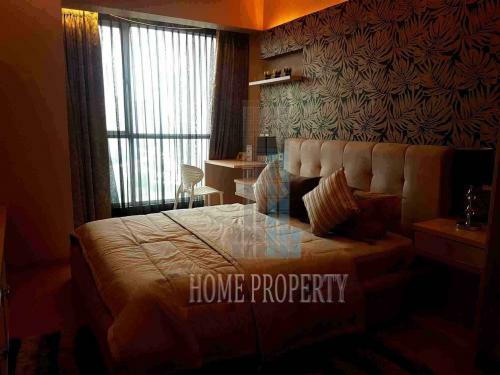 Access to JORR (Jakarta outer ring road) and access to future MRT Station. 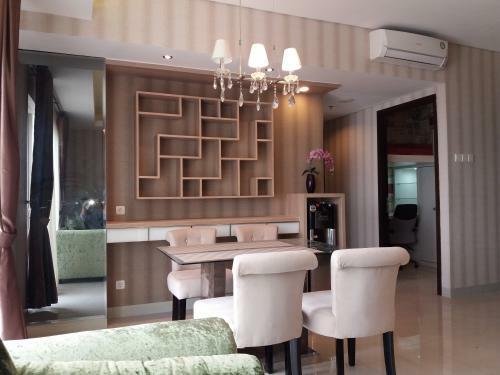 A few minutes drive to Fatmawati and Cipete area, TB Simatupang office district, Pondok Indah golf course. Selling Price: Please contact owner. 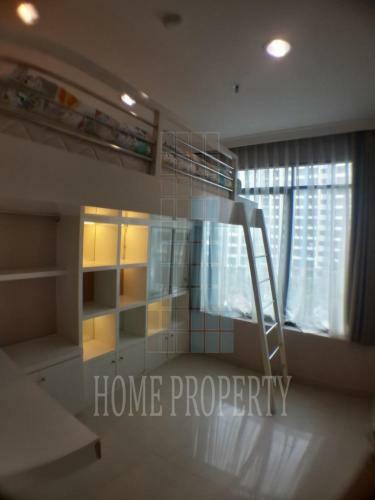 Rent Charge: Rp 14.000.000/month (negotiable) include service charge and sinking fund. 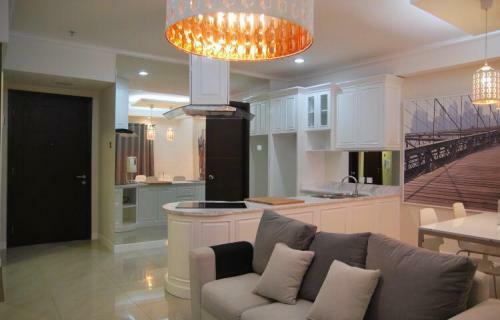 Contact: Please contact owner – Ibu Budi +6281212015917 / +6281299197554 for queries and show unit. 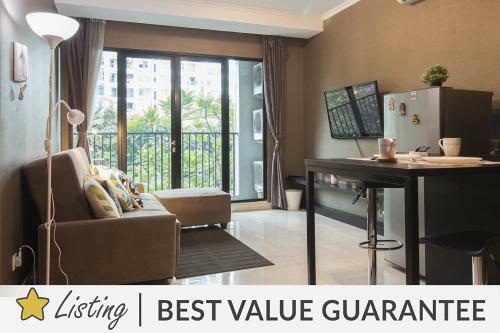 Located in West Cilandak, it is closely located with Pondok Indah Hospital, only 5 minutes walking to Jakarta International School. You can easily going to Pondok Indah Mall, Poins Square, Cilandak Town Square, and Prasetiya Mulya University. 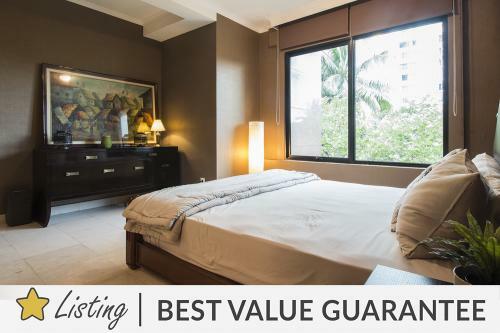 Facilities: laguna swimming pool, kid playground, jogging track, ATM center, function room, grocery store, fitness center, basketball court, tennis court, free parking, CCTV, and 24 hours security. 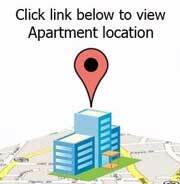 Best Apartment for: young executive, small family, and businessman who need affordable residence in elite location. 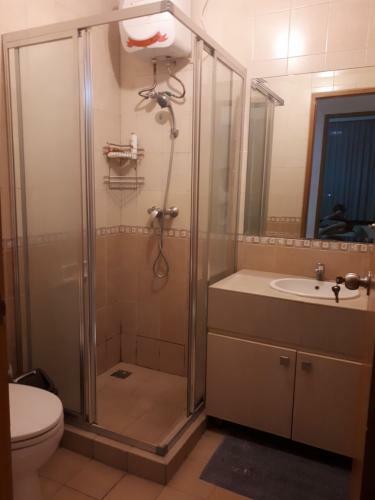 Excellent location close to public and shopping facilities: within walking distance to Hero supermarket, Jakarta International School (JIS), as well as multiple restaurants, hotels; close to Pondok Indah Hospital and Pondok Indah Mall; easy toll-road access to Cikarang industrial complex, Tangerang industrial complex, and to Japanese International Schools as well as British International Schools (Bintaro/BSD). 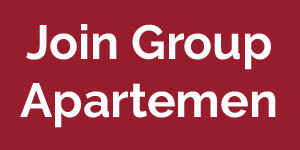 Hamptons Park Apartment unit can be a smart choice for you. 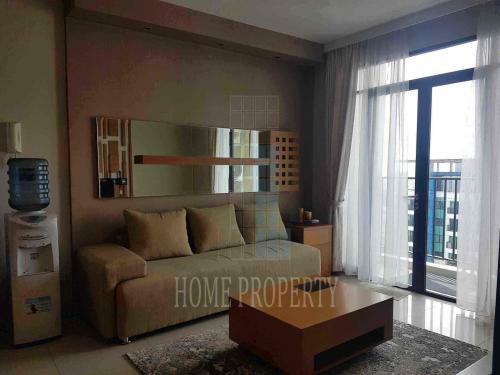 Facing the Swimming Pool, this unit already in fully furnished condition equipped with AC Dining Set, and TV. While in the kitchen has provided a Refrigerator. More good, in this unit already installed with the capacity of electric power that fits with the needs of electronics available in this unit, so you do not need to fear the lights due to lack of power. 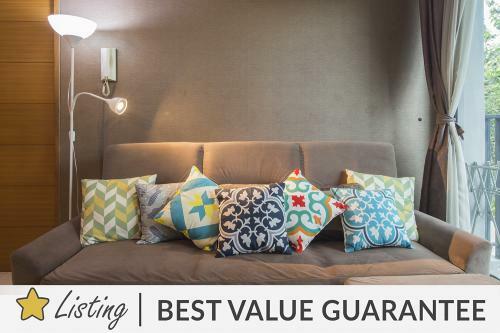 Best value and price guarantee for this good unit. The unit has been cleaned, all new air conditioners are serviced, ready units are ready to live and can be directly surveyed. 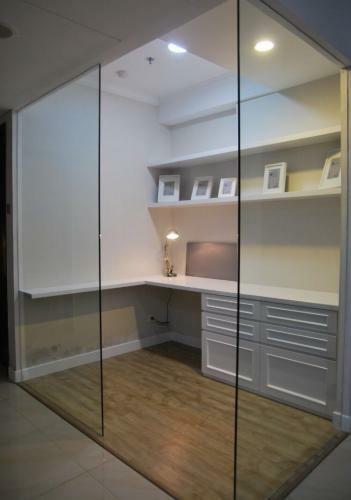 Strategic location with 8-10 min drive to Pondok Indah area, Simatupang Business District, Fatmawati street, Radio Dalam, Wisma Ericsson, South Quarter office. 20 min to Kemang. 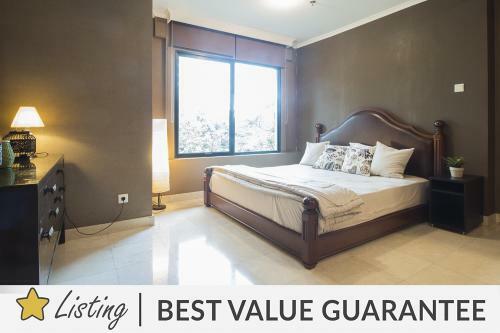 1-4 minute walk to Le Kristal Hotel, Hero Supermarket, Total & Pertamina gas stations, Starbucks, Woodpecker Coffee, Bless Juicery, Bread & Honey Cafe, Lovester Shack Restaurant, Fatburger, JIS, Tirta Marta, Pre Schools, Flower & Fruit Kiosk, J&T, JNE courier. Police Station (2 minute walk), Drug Store (5 min walk). Soekarno Hatta International Airport (44 min drive), PI Mall Airport bus station (8 min). Halim Perdanakusuma Airport (46 min drive). 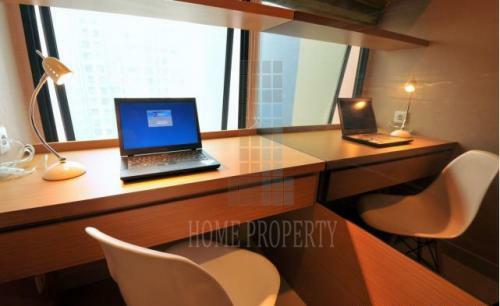 Pondok Indah Malls & Cilandak Town Square (8 min drive), Gandaria City (15 min drive). 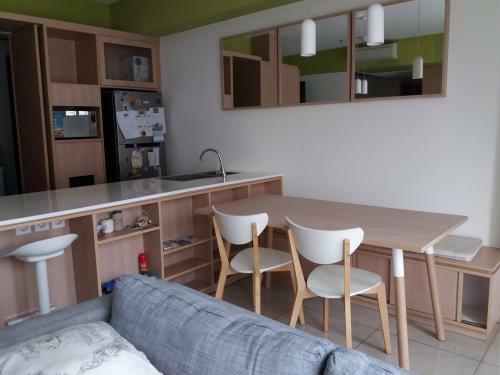 More Information: Located in West Cilandak, it is closely located with Pondok Indah Hospital, only 5 minutes walking to Jakarta International School. You can easily going to Pondok Indah Mall, Poins Square, Cilandak Town Square, and Prasetiya Mulya University. 5 min drive to Banking Complex, Pondok Indah Hospital, Bersih Sehat Massage, Pondok Indah Plaza, Pho, Sari Ratu, McDonald’s, KFC, Burger King. 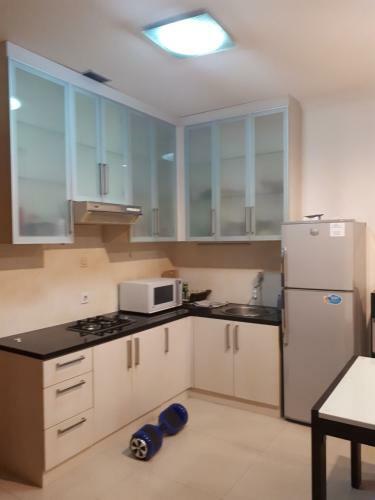 Unit Hamptons Park Apartment bertipe 1 BR ini cocok sekali bagi Anda yang menginginkan tempat tinggal dengan ruangan yang seluruhnya sudah dilengkapi dengan berbagai furnitur yang mewah dan ekslusif. 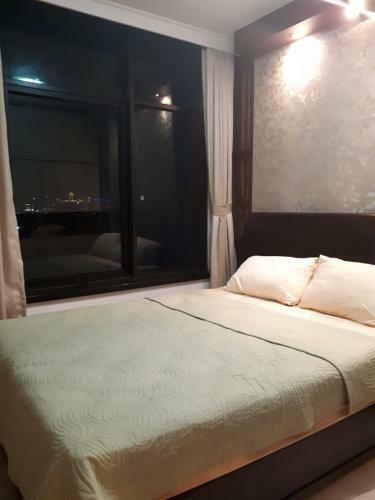 Di unit yang berada di lantai 2 dan menghadap ke city view ini sudah tersedia tempat tidur yang dilengkapi dengan . Unit ini juga dilengkapi Access Card, Air Panas, Mesin Cuci. Anda pun tidak perlu khawatir dengan daya listrik di unit ini, karena mempunyai kapasitas yang besar. 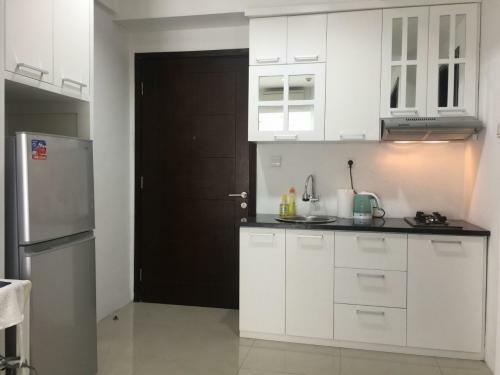 Lokasi apartemen ini dekat dengan Pondok Indah Mall dan Rumah Sakit Pondok Indah, dan hanya butuh waktu 5 menit untuk sampai ke Jakarta International School. 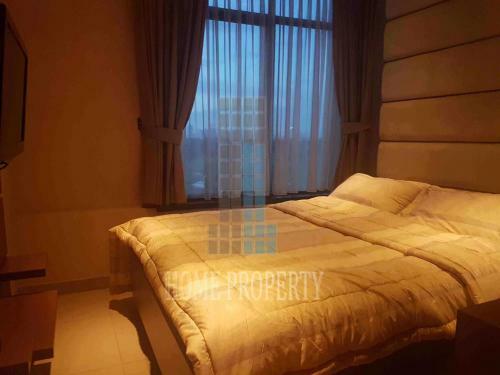 Selain itu, apartemen ini masih satu lingkungan dengan Hamptons Park Golf View Pondok Indah. Jarak untuk sampai ke daerah sekitarnya pun sangat mudah, seperti ke Bekasi, Cibitung, Puri Indah, Bintaro, Karawaci, hingga ke Bandara Soekarno Hatta, karena Apartemen Hamptons Park cukup dekat dengan akses Tol Lingkar Luar Jakarta. 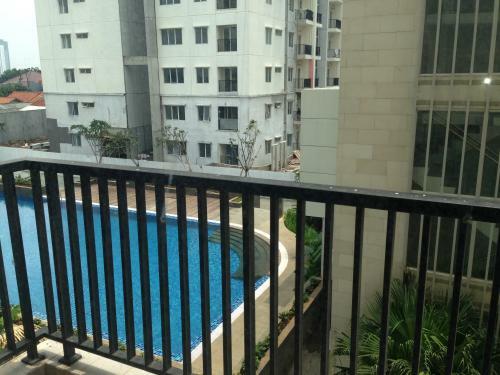 Apartemen Hamptons Park menawarkan fasilitas terbaik yang bisa membuat Anda semakin nyaman untuk tinggal di hunian ini, seperti kolam renang laguna dan kolam renang pribadi yang dapat digunakan untuk bersantai, jogging track sepanjang 1 km, pemandangan lapangan golf dengan rerumputan hijau, parkir gratis, taman bermain anak-anak, dan sistem keamanan 24 jam dengan petugas security yang ramah dan sopan. Harga sewa yang masih terbilang cukup terjangkau di bilangan elit Jakarta Selatan ini adalah pilihan tepat Anda bagi Anda yang menginginkan hunian yang nyaman dan berkelas. 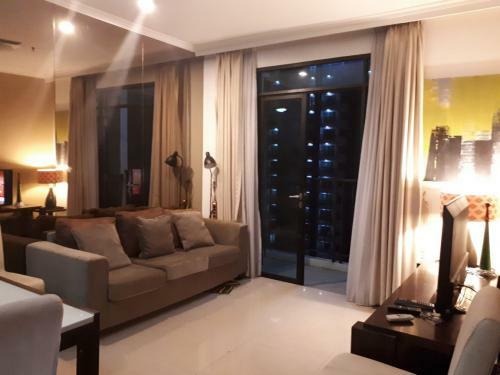 Facility: Swimming pool, whirl pool, Tennis court, jogging track, gym, mini market, 24-hours security, private access card, private parking, function room, laundry service, cafe, inside Blue Bird taxi pool, nearby Gas station Pertamina, gas station Total, Seven Eleven, Hero, etc. Additional Info: Across the road from Hotel Kristal, Hero Supermarket, Starbucks, Gas Stations, JIS International School, Police Station. Driving distance to Pondok Indah Hospital, Pondok Indah Mall (PIM), Pondok Indah Golf Course and JORR. 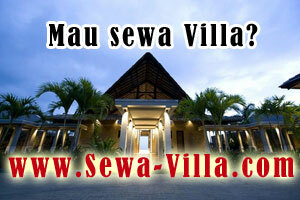 Strategic Location, Easy access to Fatmawati-Kemang. 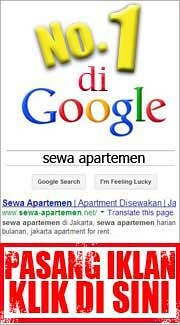 Rent Charge: Rp 9.000.000/bulan (termasuk service charge). Deposit 1 bulan.